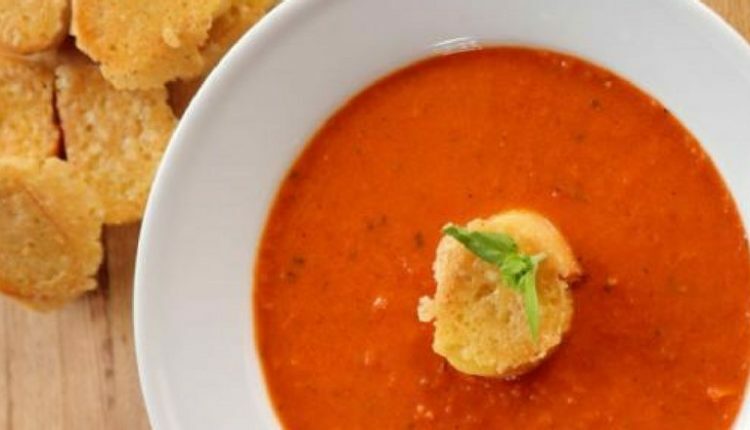 I never knew how much I loved tomato soup until several years ago. My mom used to use the canned soup in recipes but she never made it to serve as a soup. I hadn’t really tried it until I was an adult. I just remember the first time I tried it at my favorite restaurant. It was the Soup of The Day so I figured it couldn’t hurt. But, after only one spoonful I knew I loved it. Seriously! On a chilly day there is nothing like that creamy soup that just warms you up from the inside out. I love adding in a few spoonfuls of my favorite salsa to heat things up a bit more and a small dollop of sour cream on the top to stir in. I guess I had never thought to make this from scratch, which is hilarious since I make everything from scratch, including marshmallows! Ree Drummond takes this recipe up a notch by making adorable croutons to float on top. They remind me of a smaller version of what I make for French Onion Soup. Ree goes the extra mile in so many of the things she does. I hope one day I will have the opportunity to visit her Mercantile Store, because if it is anything like she is I am sure it is down home, practical and very personable. Quick Tip: If you are having a huge crop of tomatoes and are not sure what to do with them, consider lightly rubbing with oil, cutting them in half and placing them cut upside side down on a baking tray to place under broiler until blistered. It is a great roasted tomato taste. Worried About What You Will Bring To The Next Potluck Or Get Together? Try This Award Winning Recipe!